Athletes picking up the pace. 14 June 2014 – PACE athletes are showing they are rounding into shape at just the right time as a whole host of seasons best performances were set over the weekend. 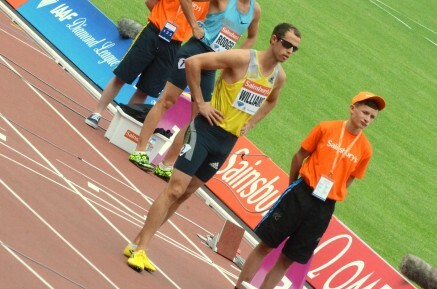 Leading the way was Rhys Williams (GBR) who went under 49 seconds in the 400m hurdles when taking second place in Geneva. At the IAAF Diamond League in New York Schillonie Calvert (JAM) ran 11.15 for third place in the 100m. Shannon Rowbury (USA) 4:03.36 for fourth in the 1500m, and Michael Rimmer (GBR) and Mary Cain (USA) ran seasons bests over 800m. At the previous IAAF Diamond League in Oslo, Galen Rupp (USA) took third place in the 5000m in 13:03:35.